Fostering and sustaining robust economic growth is an imperative across advanced, emerging, and low-income countries alike. Countries will need to focus on supply-side reforms to raise their potential output and anchor medium-term growth prospects. This SDN will emphasize the role of structural reforms and supportive policy and institutional frameworks for boosting productivity–a key engine of economic growth–in the wake of the crisis. 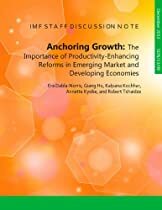 By examining a broad spectrum of reforms that eliminate impediments to growth, the paper will seek to highlight a differentiated policy agenda across countries. Despite some global risks, external conditions for Latin America should remain stimulative. With monetary policy in advanced economies expected to stay accommodative, external financing conditions will remain favorable. Strong demand from emerging Asian economies and the gradual recovery of advanced economies will continue to support commodity prices, benefiting exporters. 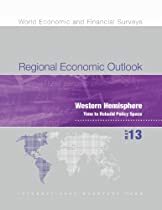 The main policy challenge for most of the region is to take advantage of current conditions to continue buttressing a foundation for sustained growth. Other issues important to the region include: (i) strengthening balance sheets; (ii) understanding how changes in external conditions could impact public and external debt dynamics; and (iii) making the best use of the windfall from the recent terms-of-trade boom. 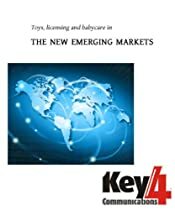 Key4Communications published a series of reports on emerging countries that describe the state of the industries aimed at children in markets that are showing growth and that can be interesting for companies in these sectors. These reports are now collected in this e-book, including social data such as population and births, as well as macroeconomic information like GDP growth and imports, not forgetting, of course, the opinion and comments of professionals of some of the most relevant toy, babycare and licensing companies operating in China, Brazil, Mexico, India, Eastern Europe, Russia, Turkey, and the Middle East.